In 2003, I found my inspiration in my dinner plate. 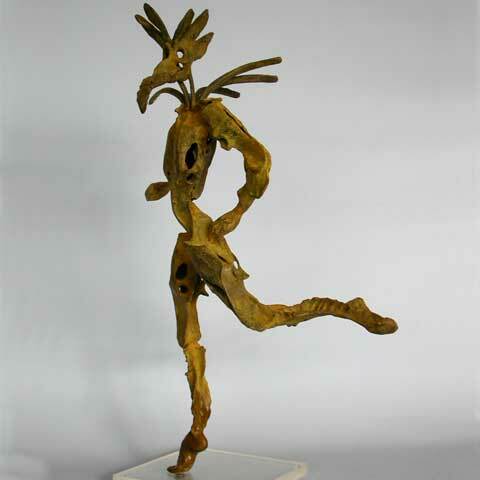 I cast bronze in unusual frameworks of bones and wax, drawing an association between la comedia del arte and mythology. This set of pieces has been completed by large sized sculptures, also in bronze, lending further strength to this research.